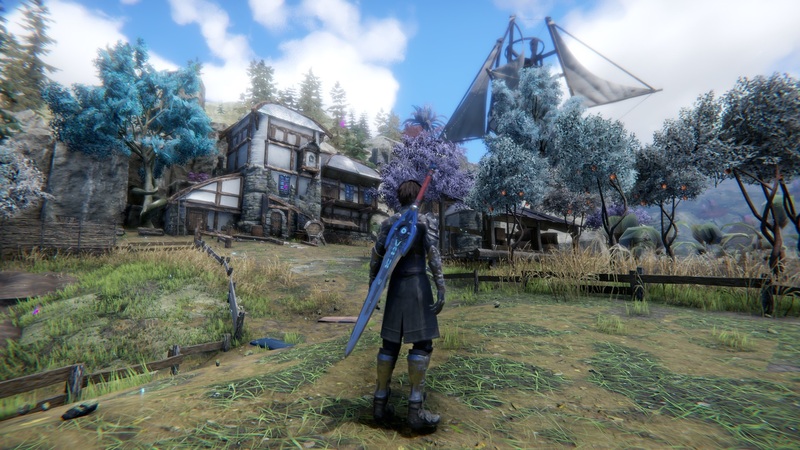 Edge of Eternity is an indie tribute inspired by the great JRPG traditions of turn-based combat and character progression and the success of western RPG elements including vast open worlds to explore along with non-linear stories. Choose your destiny as you live a rich stirring adventure driven by the choices you make along the way! The biggest indie gaming stories for the week of July 13 2018. For this recurring segment, we will be highlighting the five biggest stories on IndieDB for the prior week. Whether it's demo releases for upcoming indie games, Kickstarter campaign announcements, or important stories that affect the indie gaming as a whole, you'll find them rounded up here each week. Edge of Eternity is a Space J-RPG created by 4 people, the game feature an old school final fantasy era ATB combat system and modern graphics, deep and strategic combat system. The peaceful world of Heryon is threatened by an alien civilization that have invaded the world, they bring with them a disease who turn people and animals to metal monsters. The hero, Daryon, hunted by his own people must discover his origin and save the universe from collapsing. Captive Audience is a first person Narrative Thriller set in the confines of the Compendium Estates, a dark-web corporation responsible for the creation of unlicensed programming using unwilling participants sourced from death row. With a focus on object interactivity, as well as a fully voice acted story complete with multiple scenes of dialogue, scoring and object commentary, Captive Audience aims to be an immersive, engaging thriller that draws the player into its world and pulls them through to the shocking conclusion. Want to help support the Boss 101 team and see Boss 102? YOU CAN! As you may or may not know, Boss 101 didn't exactly set the sales world on fire and due to this we are having to take a VERY hard look at our situation for future games. Port Valley is a (not so) classic Point & Click adventure where a single choice changes everything! Do your best to overcome the crossed objectives of Port Valley’s citizens and witness three points of view of the same story. It's a vertical slice of one of the three parts of the game with simplified puzzles and a shortened plot, but I hope it helps people understand a little better the tone of the game and its mechanics and characters. Salt the Earth is a fantasy-based multi-unit arena-brawler that focuses on ranked competitive play. Players who perform well on the ladder will earn the right to vote on weekly unit balance patches. In this game, the players balance the game. Salt the Earth currently features 5 races: Humans, Orcs, Dwarfs, Undead, and Demons.